As promised to you guys yesterday, we are giving away tickets to Big Cat Rescue, in celebration of our 11,000 fans/likes achievement! All you gotta do is answer some trivia about Big Cat Rescue today to give yourself a chance to be on the receiving end of tickets to this awesome place! Okay there hope you have the hat on tight cause I am in the mood to stump you guys today! To win, you just gotta do answer the trivia questions below on Facebook. Then if you have the correct answers you are entered into a random drawing! Today this is a Facebook only contest so answering on the blog comments and Twitter will not enter you. Today you are playing for a four pack of passes to Big Cat Rescue, and will be giving away to of those packs today! Okay folks here goes the trivia! Cameron the male African Lion and Zabu the female white tiger love each other very much and love “playtime” where they can be very goofy big cats! Name the celebrity-like nickname associated with these two lovely kitties! Think "Brangelina" for Brad and Angelina, with with a kitty twist. 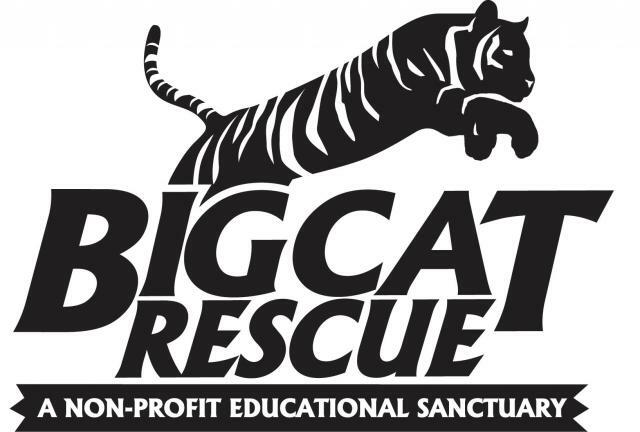 Big Cat Rescue is the largest accredited sanctuary in the world dedicated entirely to abused and abandoned big cats. In what year did the sanctuary begin? True or False: The sanctuary is home to more than 300 exotic big cats. Okay folks, that&apos;s it for now, but get to answering, and we&apos;ll announce some winners later on today. Stay tuned in for more updates on things to do in Tampa Bay!